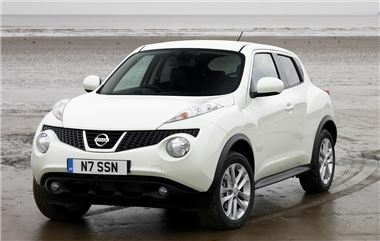 The Nissan Juke has had an efficiency boost thanks to revised gear ratios. Both 1.6-litre petrol and 1.5-litre dCi diesel models benefit from the improvements, and there is no difference in cost. The 1.6-litre petrol now manages 47.1mpg, and improvement of 2.3mpg, and emits 8g/km less CO2, at 139g/km. The changes not only reduce fuel bills but also road tax, which is £15 less annually. The 1.5-litre dCi diesel has a fuel economy boost from 55.4mpg to 57.6mpg, with emissions reduced from 134g/km to 129g/km. That means a drop in VED band from E to D, saving £20 per year.